The folks at Ram aren’t playing games with their trucks, and critics agree as the 2018 Ram 1500 continues to win awards. They’ve gone all in when it comes to designing and building the most powerful, most capable pickups and that’s obvious in the new 2019 Ram Heavy Duty line-up. Engineers focused on setting a benchmark for Performance (1,000 lb.-ft. of torque milestone thanks to the Cummins 6.7-liter Turbo Diesel), Capability (35,100-lbs. towing and 7,680-lb. payload), Technology (Uconnect 4C NAV with a 12-inch fully configurable screen) and Luxury (hand-wrapped leather instrument panels). The result: Ram’s Heavy Duty trucks can out-power, out-haul and out-tow every other available truck. And in our opinion, they have the best looking trucks on the road with incredible attention to detail. 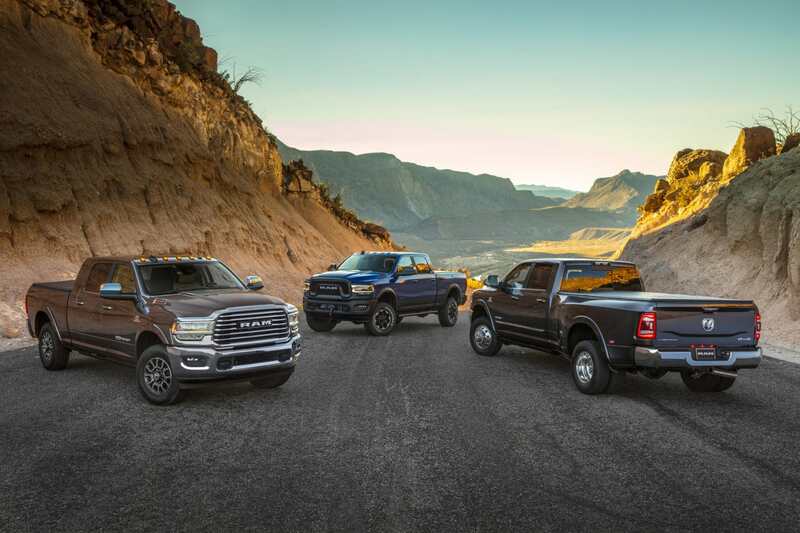 In order to achieve more capability, Ram engineers used lighter materials in the frame, powertrain and an aluminum hood to reduce overall weight by up to 143 lbs. The new 98.5-percent high-strength steel frames offer greater capacities, reduced weight and the highest levels of torsional rigidity. Ram continues to focus on a comfortable ride with new suspension tuning that includes Frequency Response Damping (FRD) shocks, progressive springs and re-engineered bushings. The 2019 Ram Heavy Duty will be available in six trims: Tradesman, Bighorn/Lonestar, Power Wagon, Laramie, Laramie Longhorn, and Limited. Each trim has distinctive exterior designs from grilles, bumpers and the wheels. We’re excited to see our personal favorite the Ram Power Wagon gains a 360-degree camera to help navigate around obstacles on and off road. Its also equipped with a new Warn winch that has 12,000 pounds of capability but is 28 lbs lighter, thanks to a new synthetic line. With a new refined interior, a factory suspension lift, locking front and rear differentials and disconnecting sway bar, the Power Wagon is ready to venture off-road for fun or rescues. 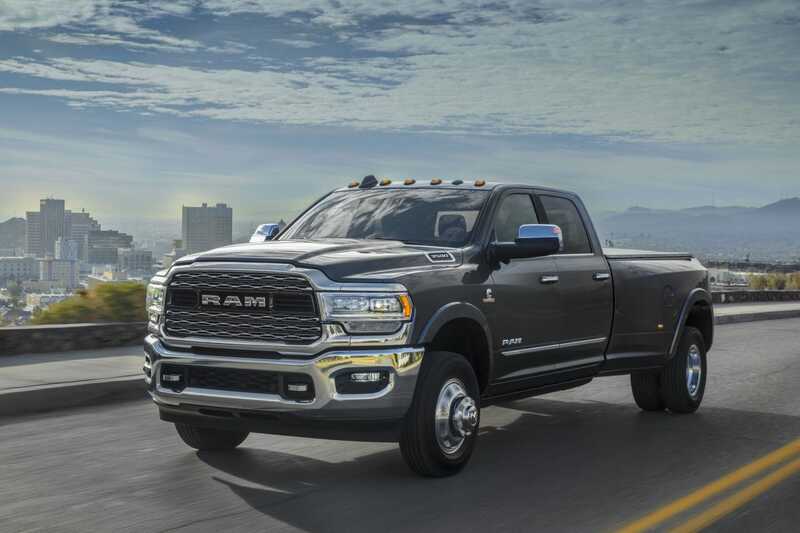 The 2019 Ram Heavy Duty is built at the Saltillo Truck Assembly Plant in Coahuila, Mexico. Pricing and availability to be announced at a later date.